This post is sponsored by The Henderson. 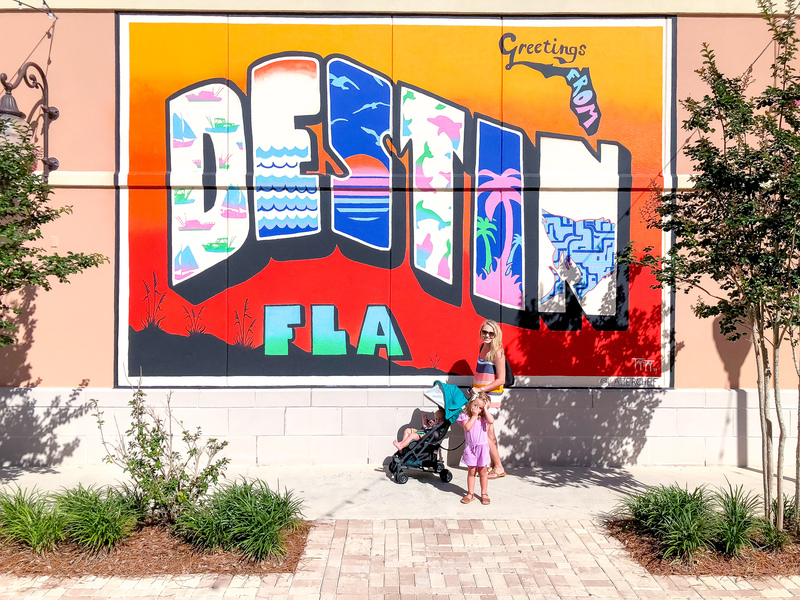 If you are planning a family vacation soon, you MUST put Destin, Florida on your bucket list! 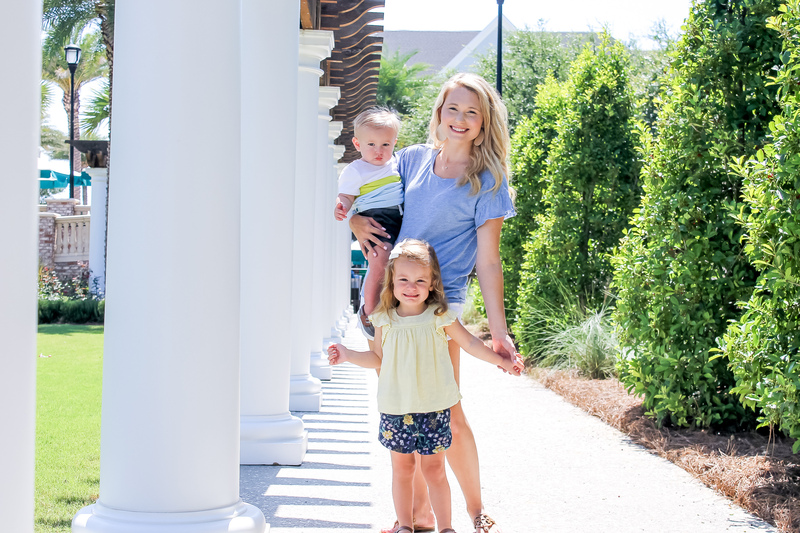 Destin completely blew us away on our family vacation and we cannot wait to travel there again in the future. 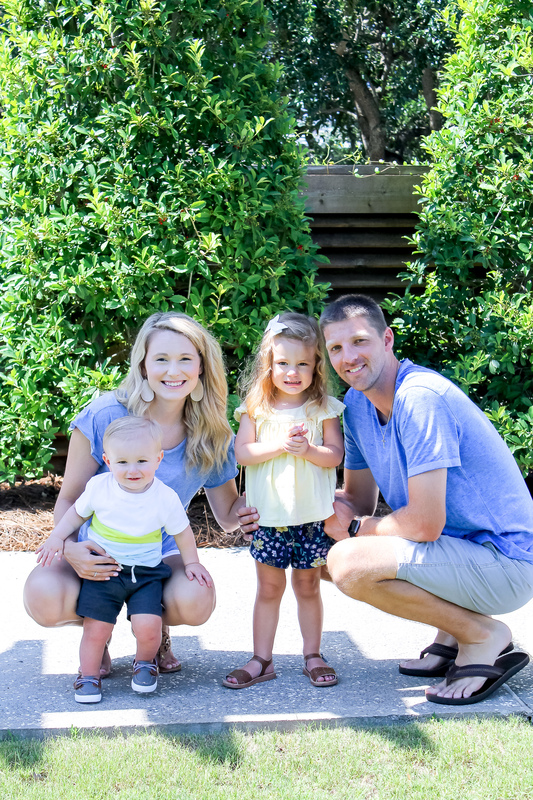 It was the perfect family vacation spot for all ages and we had the best time. We decided on Destin as a family for Kevin’s mom’s 60th birthday. Our family LOVES the water, so a beach vacation was an easy sell. Kevin and I haven’t been on a beach vacation in several years, so we were very excited to experience it with our whole family and the kids. 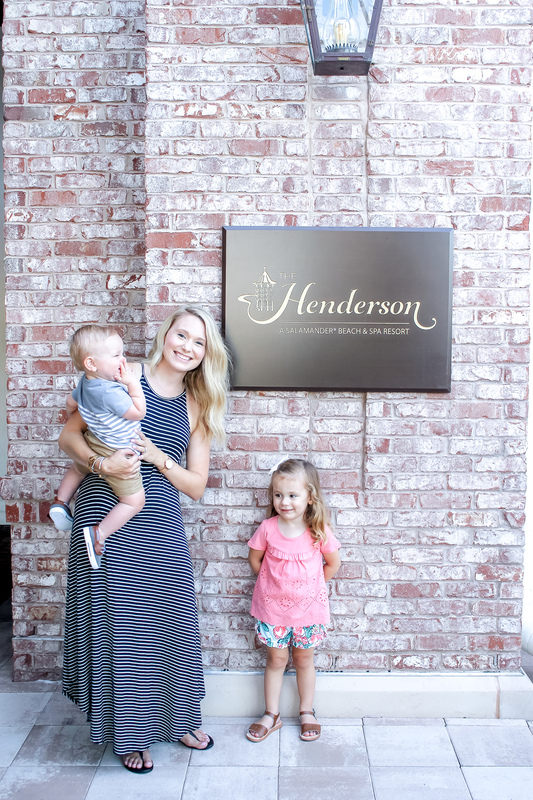 The theme for our vacation was to have the BEST FAMILY VACATION, so we decided to stay at The Henderson resort, because of their luxurious accommodations and family friendly atmosphere. 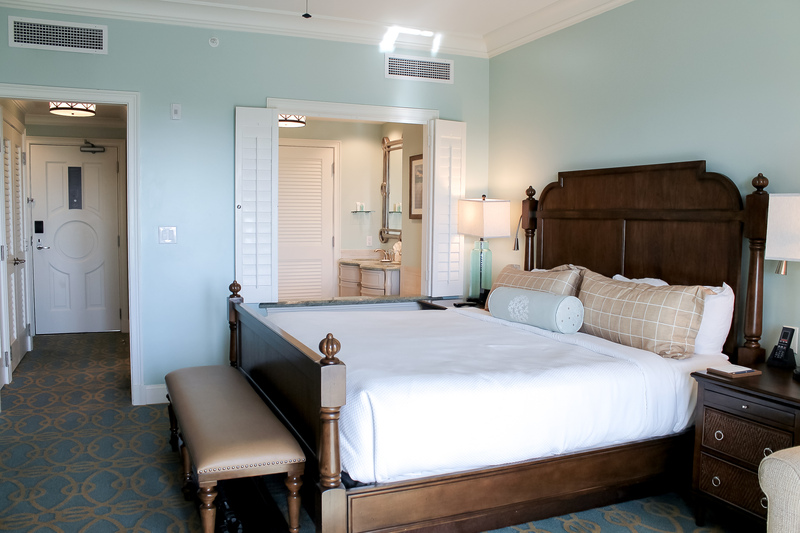 At The Henderson, gulf coast meets luxury with 170 spacious rooms and 8 suites that boost impeccable panoramic views of the Gulf of Mexico and the adjacent Henderson Beach Preserve. The view is seriously breathtaking, we loved sitting out on our balcony watching the waves roll in as we drank Nespresso in the morning, and watching the sunset over the gulf during the evening hours. When we arrived, we were greeted by the friendliest valet staff that helped us get checked in and get our bags to our room. They even recommended great restaurants and activity ideas through the check in process. Every staff member was extremely friendly, knowledgeable and helpful. They had every detail down to perfection and our room was no different. Everything in the room from the finishes, to the welcome guide, to the body wash with aloe tied into the Gulf of Mexico Luxury theme. The King size bed was amazingly comfortable and the staff had our pack and play set up and waiting for Baby Kevin. We dined at Primrose inside The Henderson for breakfast, lunch, and dinner once during our stay. Each meal was incredible, just like our entire experience at the resort. We had such a great time enjoying a breakfast of pancakes, eggs, toast, bacon and more! The kids loved the chocolate milk and my espresso was delicious. For lunch, we enjoyed a burger, steak and frites, and chicken tenders. Dinner was a more romantic experience, even with the kids in tow. The food was delicious and my filet mignon was fantastic. I highly recommend dining in during your stay! They even serve a poolside menu! For other meals, we enjoyed seafood at local restaurants like Boshamps, Brotula’s and Captain Dave’s. Of these, Brotula’s was my favorite food and Boshamps was my favorite atmosphere with a close second on food. Baby Kevin was obsessed with a little stuffed puppy at Boshamps so it came home with us. We just have so many great memories from this trip. There are so many places to explore just at The Henderson alone! They have an amazing pool, splash pad, family activities on the lawn, campfire, ice cream shop, great dining, private beach and even a spa! We spent a lot of time exploring around the resort and enjoying the fabulous amenities provided there. We also enjoyed exploring Destin Commons, a shopping center near the resort. They had a great play place and splash pad for the kids, while Kevin and I enjoyed the shopping and movie theater. There are so many places to play in Destin! It is seriously so great for families. 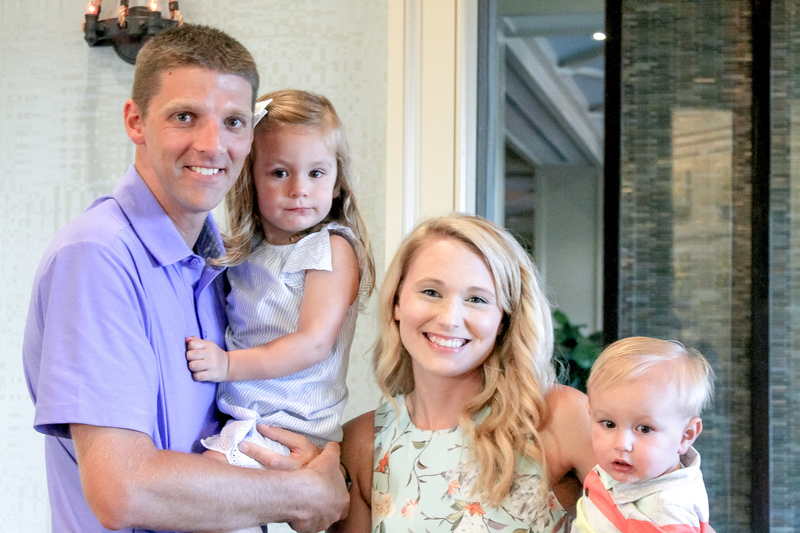 Our family spent a lot of time at the resort, because it was so perfect. The kids loved playing in the splash pad and pool area. Brooke also was drawn to the family games on the lawn. She loved the hula hoops, corn hole game and other games outside. One night, we even enjoyed a late swim and then on the way back to your room, you easily stop in for ice cream at the ice cream shop for a nice treat! You can also enjoy great rentals at the resort like a paddle board, kayak, beach set, bikes, boogie boards, and more. Our family rented a boat and jet skis one day and headed to Crab Island for a day of great fun. Crab island is essentially a huge sandbar with floating food, bars, and inflatables for the kids. Ohh, did we do some relaxing while on this trip! The Henderson Private beach is so perfect for relaxing. I highly recommend renting an umbrella and chairs for the day. The Destin beaches were honestly the prettiest beaches I have ever seen. The water was clear, see-through and beautiful! The kids enjoyed playing the gorgeous white sand, while Kevin and I lounged in the chairs. We also enjoyed relaxing in the pool. It was the perfect pool for families with a splash pad, easy entrance for kids, and even a lazy river! Overall, this was such a relaxing, fun family vacation in Destin, Florida. I am so thankful we decided to stay at The Henderson, it really pushed our vacation over the top and made the whole vacation so fun and enjoyable. They had it all! Great location, luxury, excellence, dining, relaxation and play! We couldn’t have asked for more. 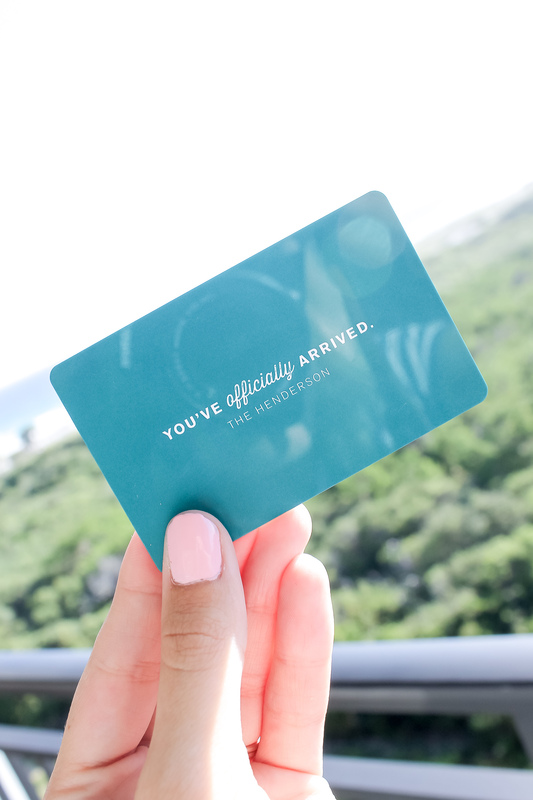 Be sure to book your next stay in Destin at The Henderson and experience Gulf Coast luxury first-hand!